Golden Nugget Casino is a casino platform game on offer from developers, Majesco games, and it offers a whole range of casino games, perfect for the gambler who likes to vary the game they play. Rather than other gambling based Nintendo 3DS games which tend to focus purely on the one game type, poker for example, Golden Nugget Casino for the 3DS actually allows players to choose from table games, card games, slot games and video slots. Players can take their pick from Poker, Blackjack, Craps, roulette, Baccarat amongst other old favorites. Couple this selection with the decent selection of video slot games available and players won’t be bored, not knowing what game to play. 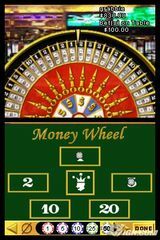 If you like to play free spins and win real money, check out free-spins.org. A site that actually feature casino sites that offers free spins with no deposit. The game play is pretty smooth on all of the Golden Nugget Casino games and this helps to create an absorbing casino platform that can easily steal several hours of your day from you without you realizing. Players start with a kitty of five thousand dollars and are left to their own devices about how best to multiply this. Golden Nugget Casino for the 3DS incorporates many of the best features you have come to expect in video slots and video poker, including wilds and free spins, so players will be very comfortable with the game play straight away. 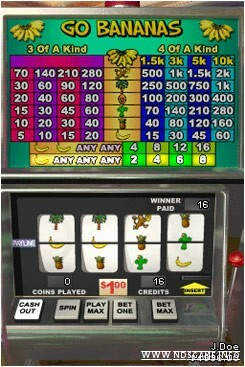 Whilst the game play itself is reasonably straight forward and simple, the account area of the game and general interface can be a little confusing, and in some instances, downright frustrating, namely, using the virtual ATM that has been incorporated into the game for some unknown reason. Withdrawing money can be a real drag on this ATM and this can somewhat slow up the game play, potentially tempting players to simply turn off. However, make the effort to familiarize yourself with the interface and there is some real casino fun to be had here. As far as the design and graphics are concerned, Majesco have done a decent job in bringing to life some of the all time classic casino games and the animations are enthralling and vibrant. Sound effects are very prevalent in the game and create a good sense of actually being in a real casino environment, playing against some of the casino’s best players. One of the best additions to this game is the multiplayer feature which allows players to play against up to 3 of their mates wirelessly, in a good selection of the games on offer. This adds depth to the games as it can become a bit tedious always playing against the house or the computer generated intelligence. Testing your hand against real players is far more rewarding. All in all, a solid casino game addition and one that has and will no doubt continue to win fans around the globe. The games are varied and interesting and the design and sounds are enthralling, however, the interface could do with some work to make it more easy to use. Copyright © 2019 Nintendo 3ds Games.